Welcome back to another episode of Benched with Bubba. 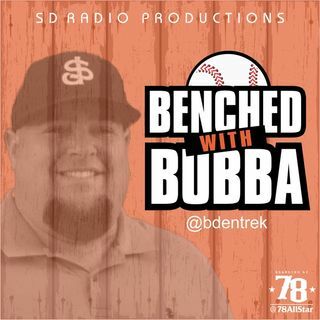 On BwB EP 154 Bubba will be joined by Jon Hegglund of Baseball Prospectus. They will go over the recent MLB News regarding your Fantasy Baseball teams (Gio Gonzalez, Carlos Gonzalez, Jung Ho-Kang, Michael Fulmer), then recap Jon's Tout Wars team and finally go into some Fantasy Baseball sleepers at the offensive positions. As always, thanks for listening to another episode of Benched with Bubba. We'd appreciate it if you would ... See More give a rating a review on iTunes.